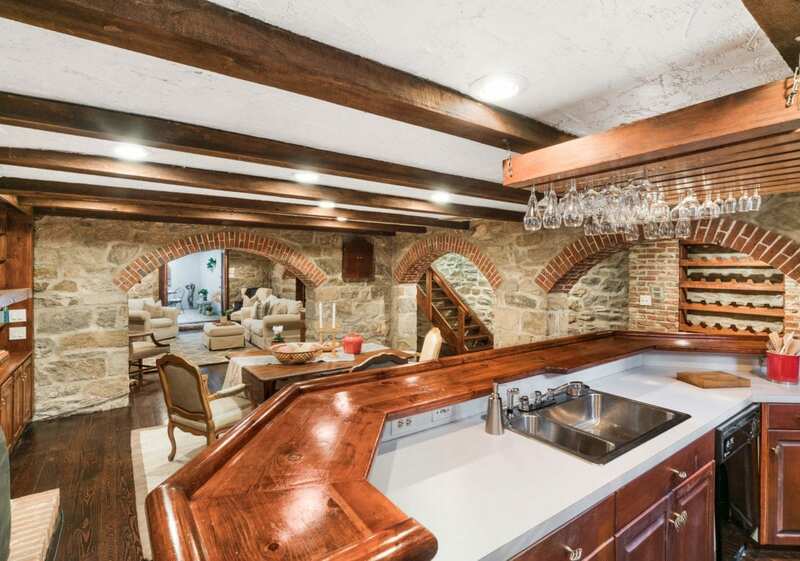 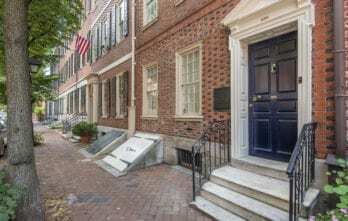 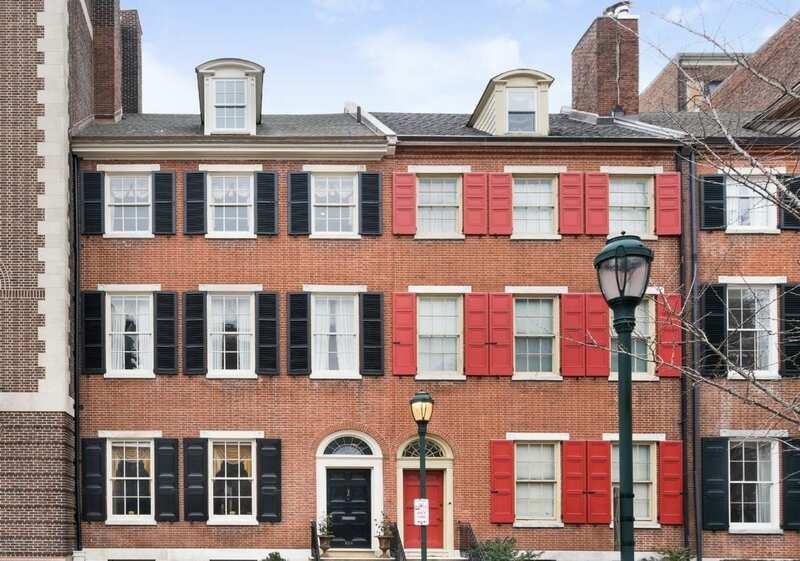 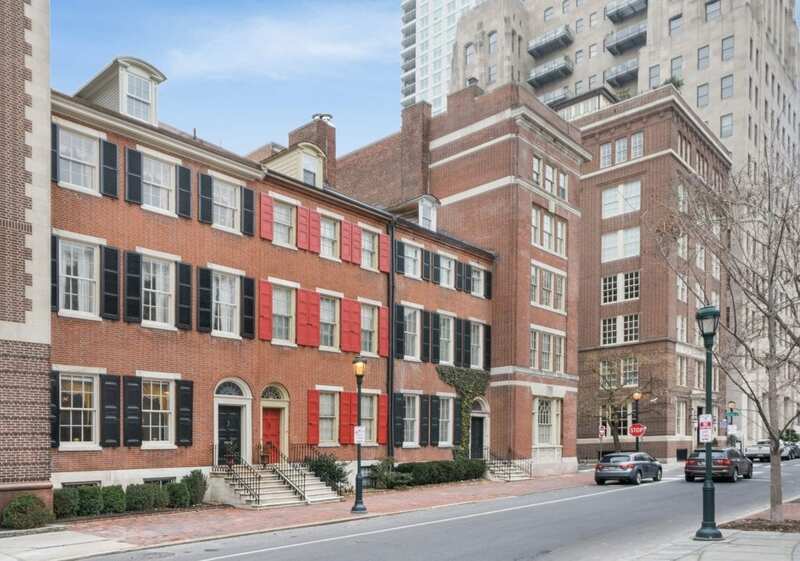 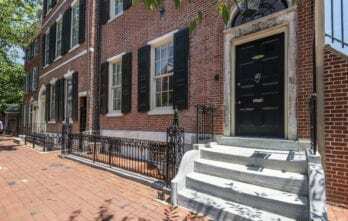 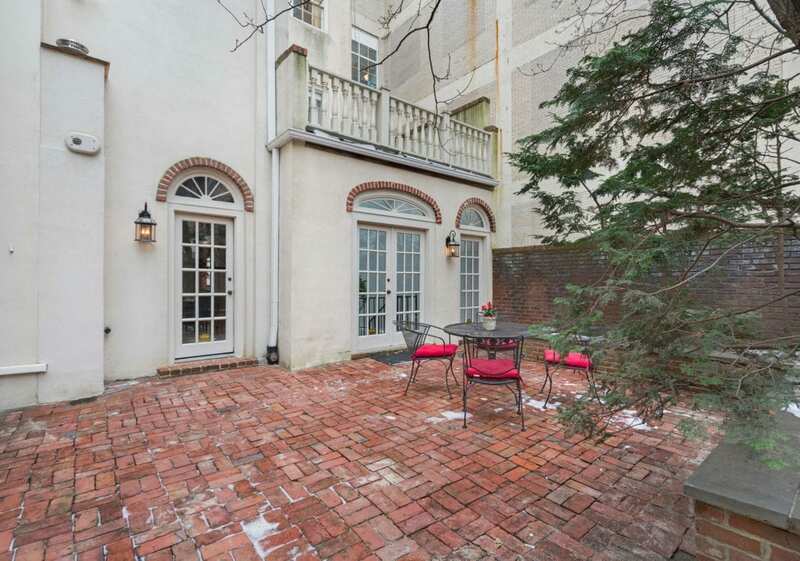 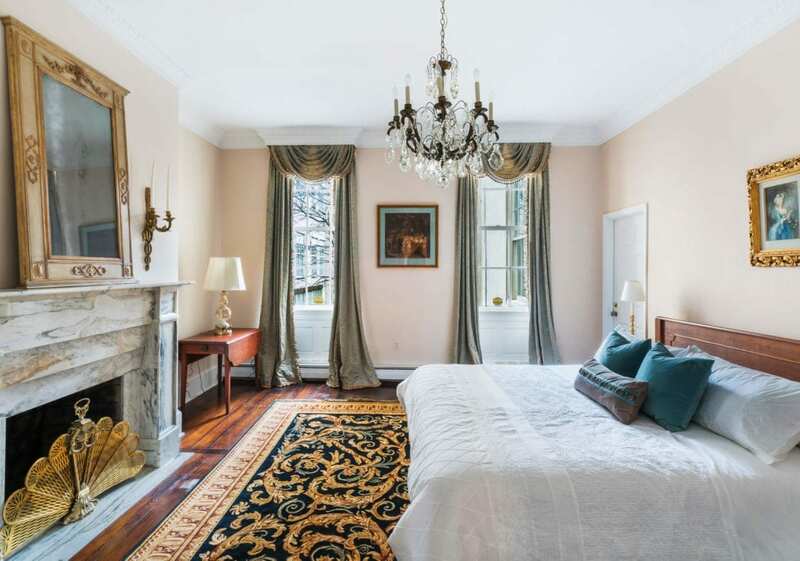 Originally constructed in the 1800~s as one of three spec homes, this townhouse is one of Philadelphia’s most distinguished properties. 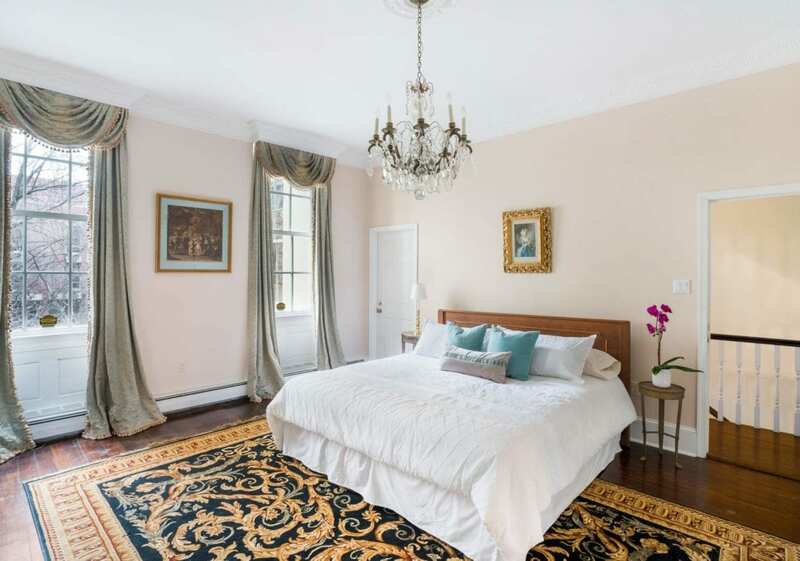 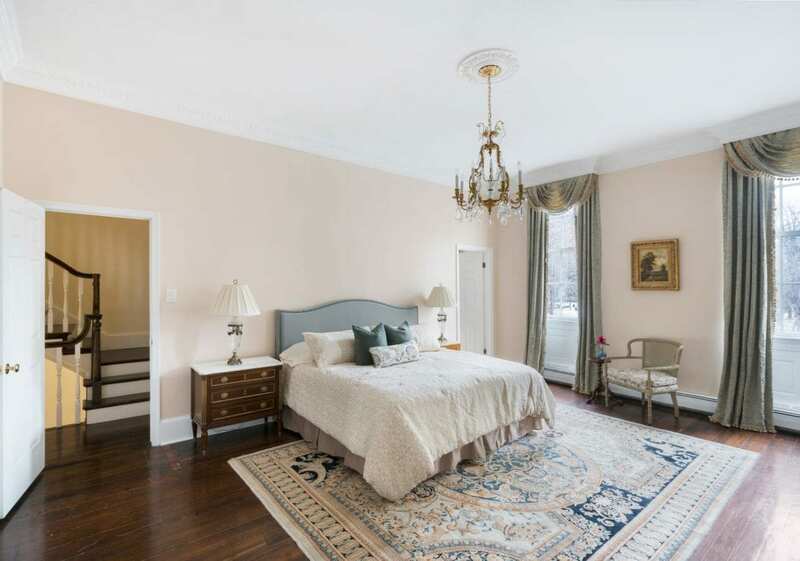 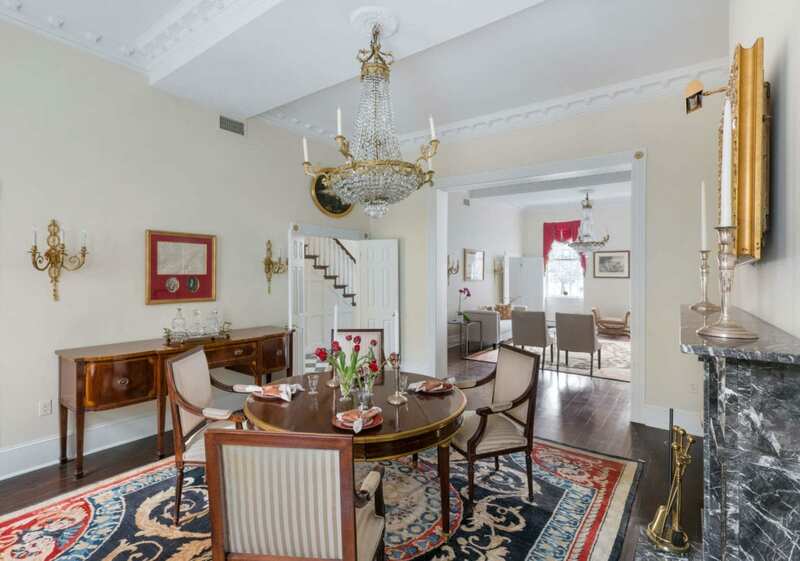 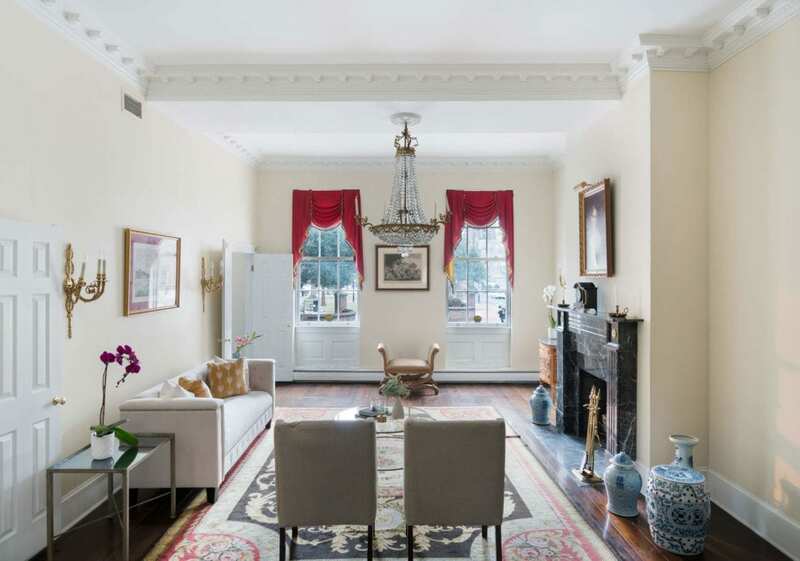 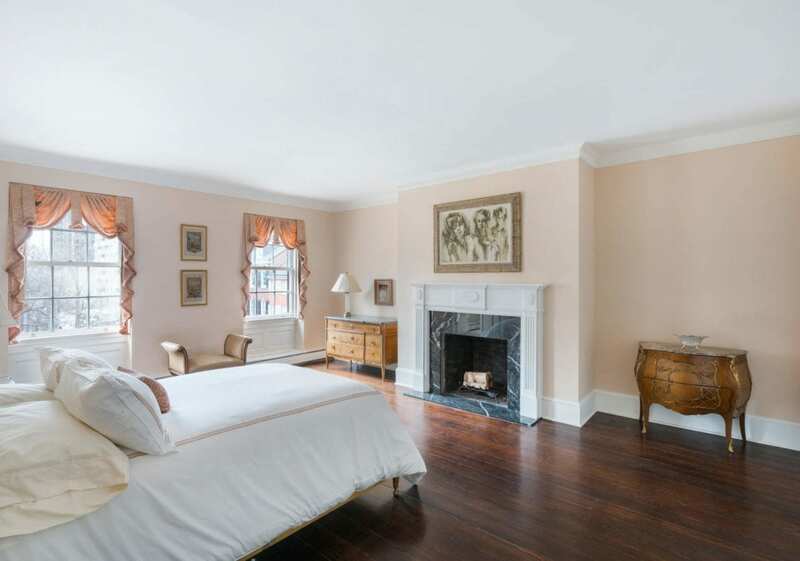 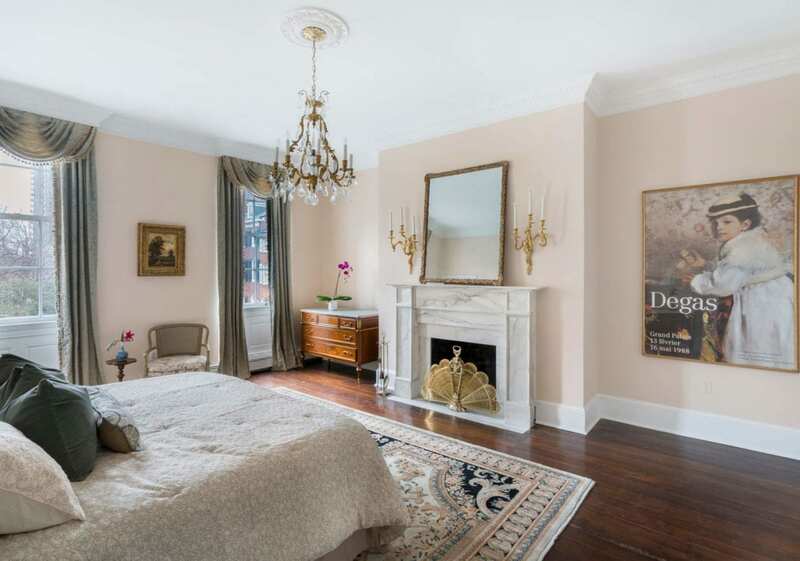 Situated on the city~s historic Washington Square, it offers a rare opportunity to acquire a residence of extraordinary grandeur. 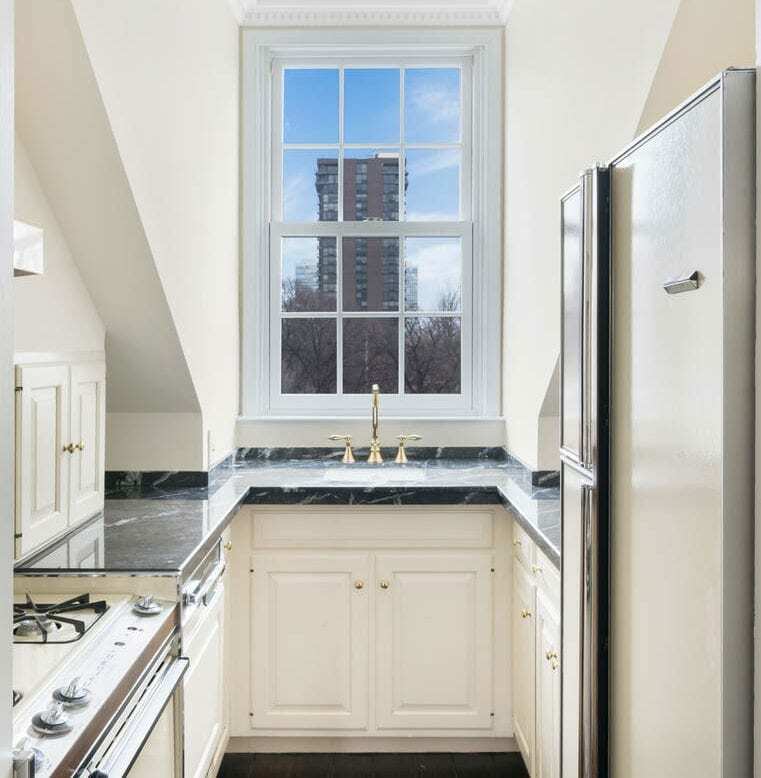 6155 sq ft, 25-ft-wide and built to nearly the full depth of the 87.5 ft lot, the townhouse provides an immense urban footprint. 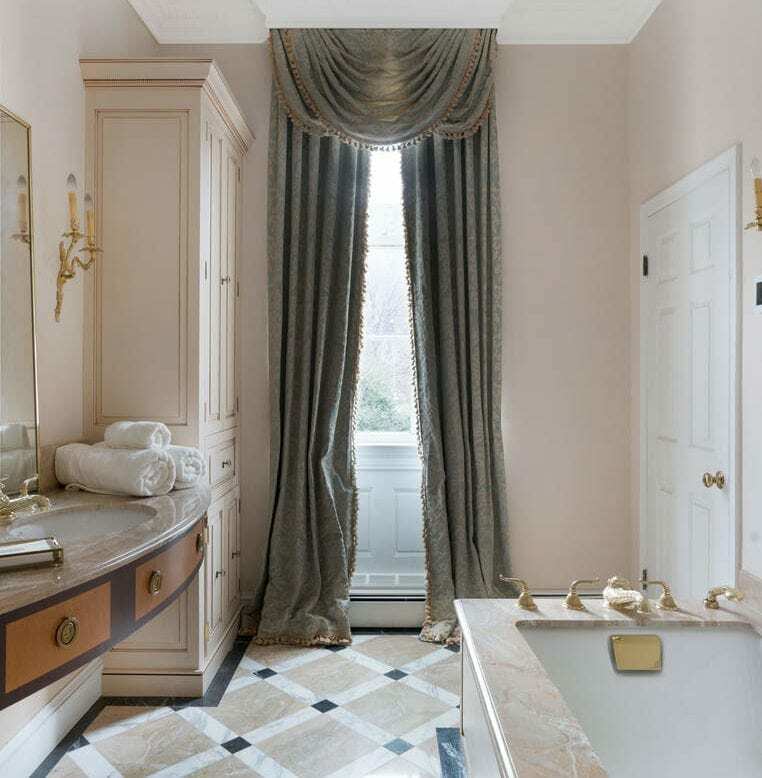 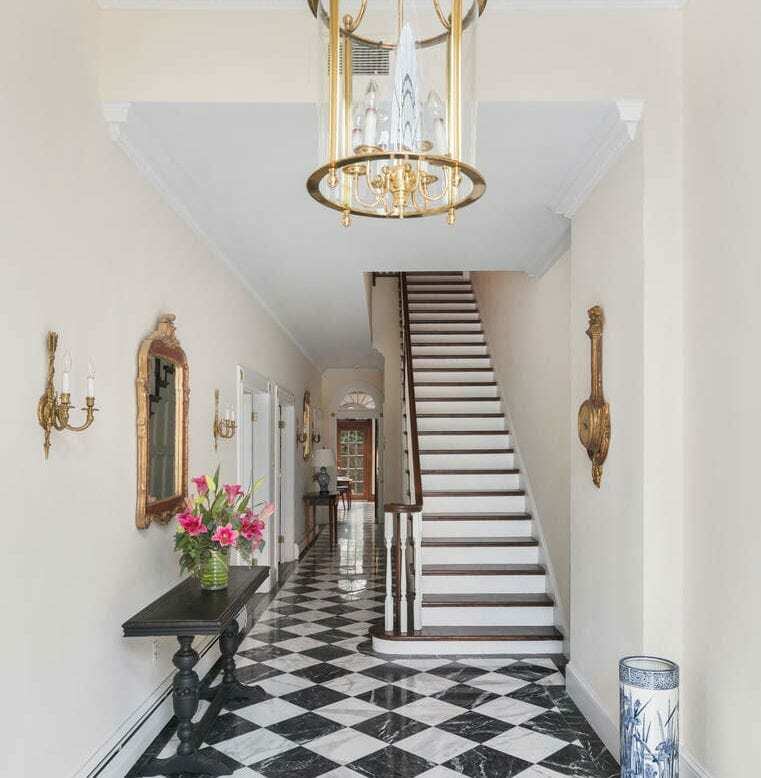 The formal entry opens onto classic Georgian marble floors lining a 60 ft entry hall with 12 ft ceilings, and a handsome staircase. 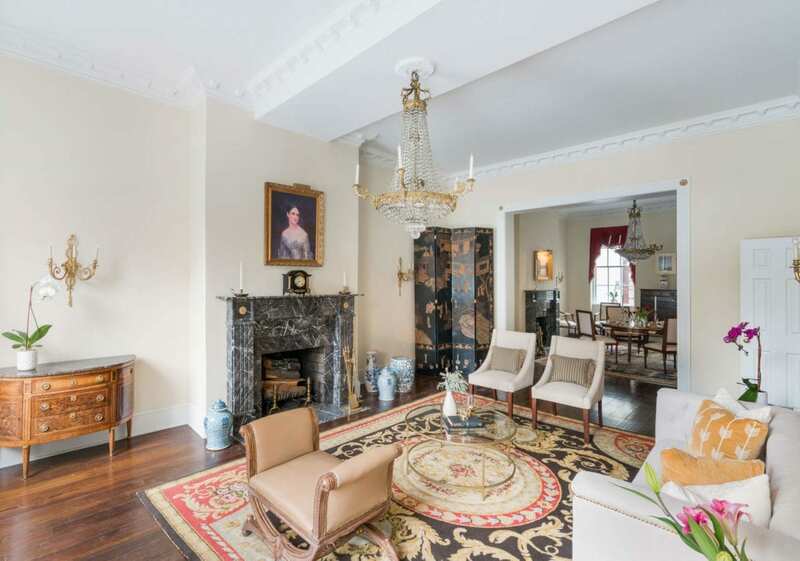 To left is an elegant Louis XIV style living room with wide-plank wood floors, marble fireplace, and moldings illuminated with an antique chandelier. 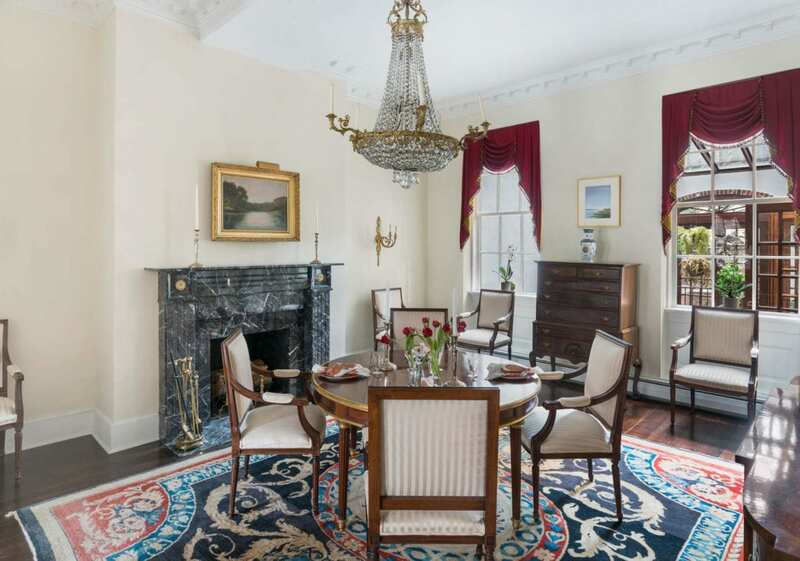 Continue through to the dining room also with crown moldings, a magnificent marble fireplace and chandelier to mirror the living room. 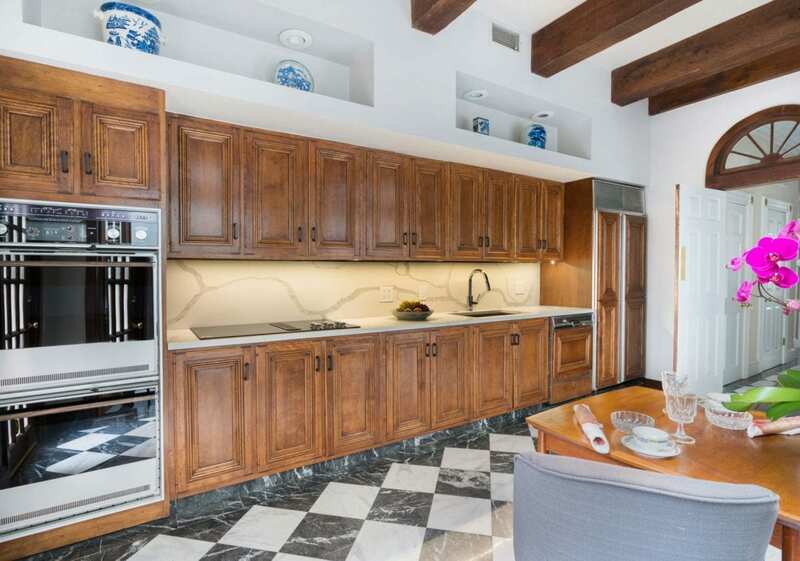 Adjacent is the traditional kitchen with gorgeous quartz countertops, backsplash and custom wooden cabinetry overlooking the 3 story solarium providing a tranquil backdrop for the sprightly chef. 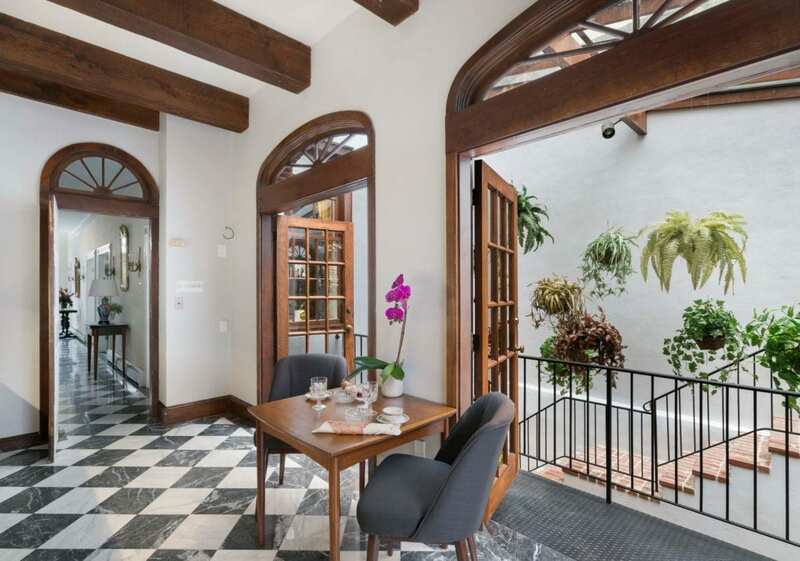 The kitchen gives access to the gated private patio lined with greenery ideal for relaxing over morning crosswords and coffee. 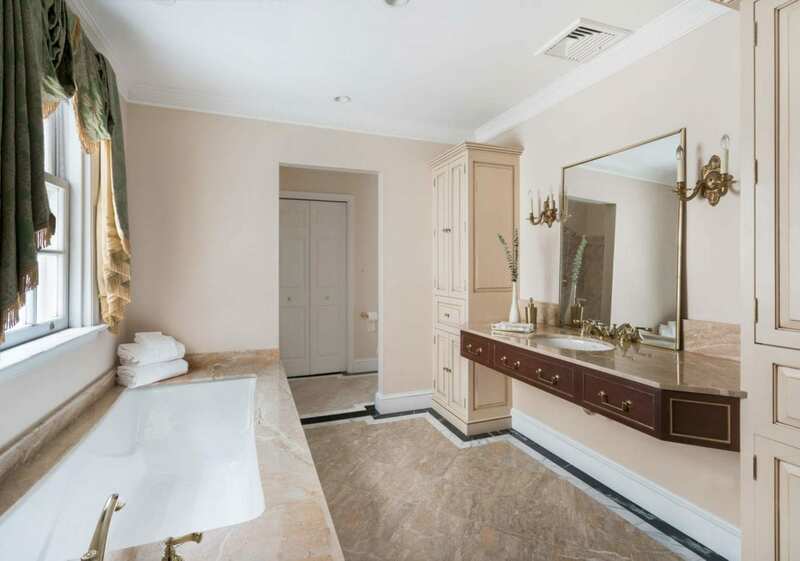 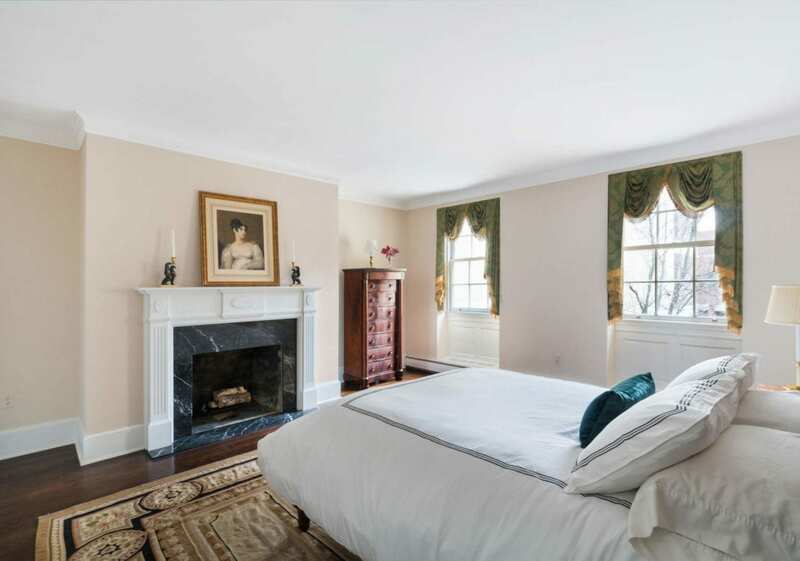 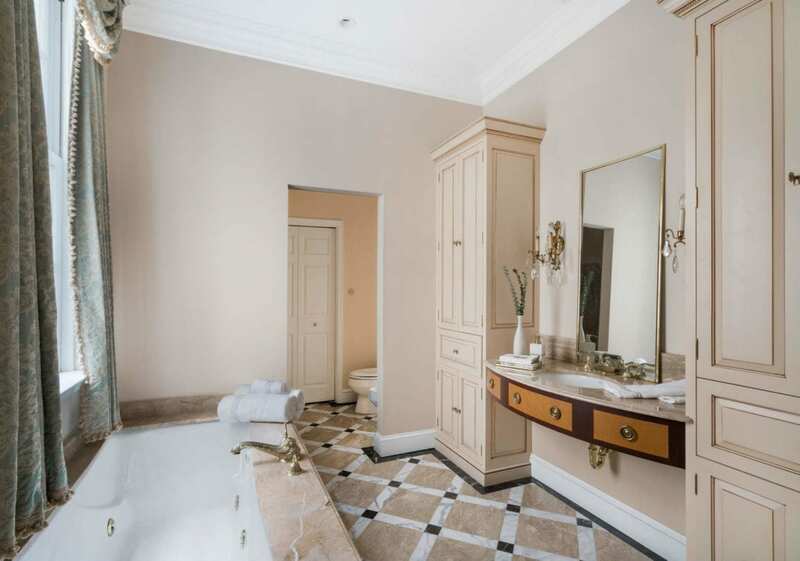 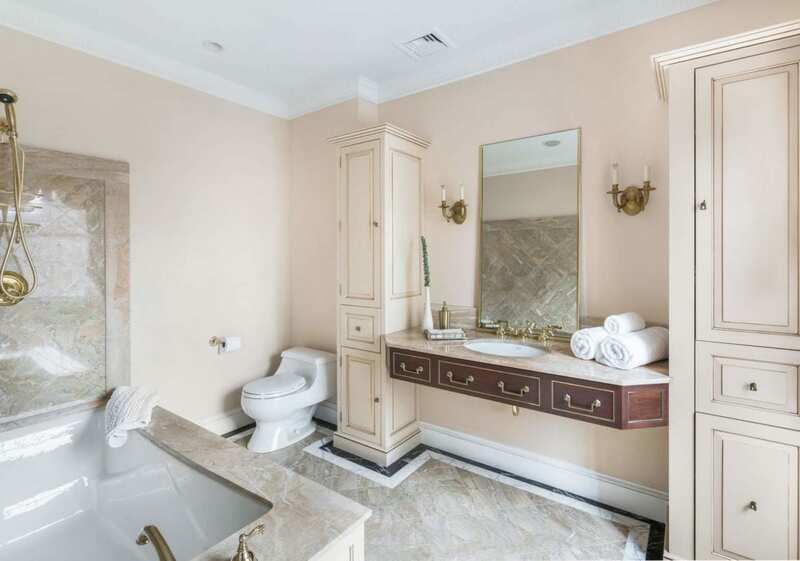 Accessed by elevator or staircase, the upper living quarters on the 2nd and 3rd floor each have 2 master bedrooms with en-suite marble baths, ample closet space, a fireplace, and wide plank floors. 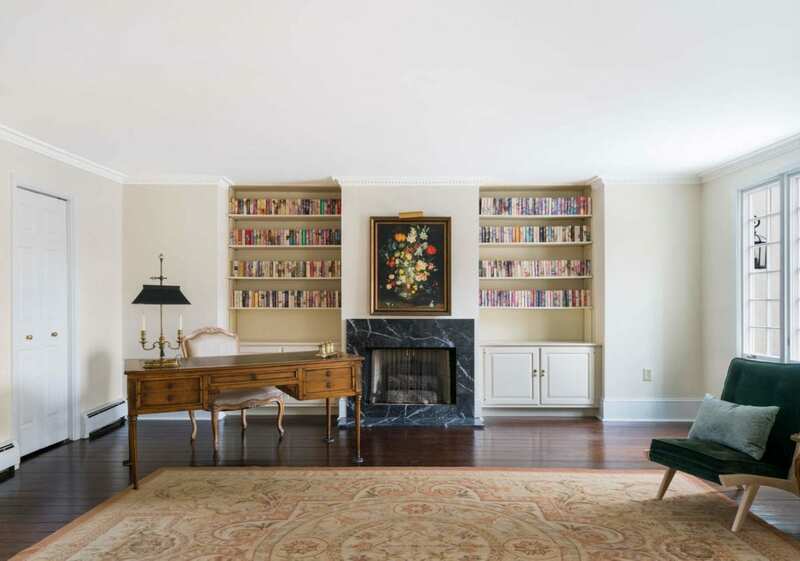 The 4th floor suite, currently used as a study, features a fireplace, built-in shelves, full kitchen and marble bath. 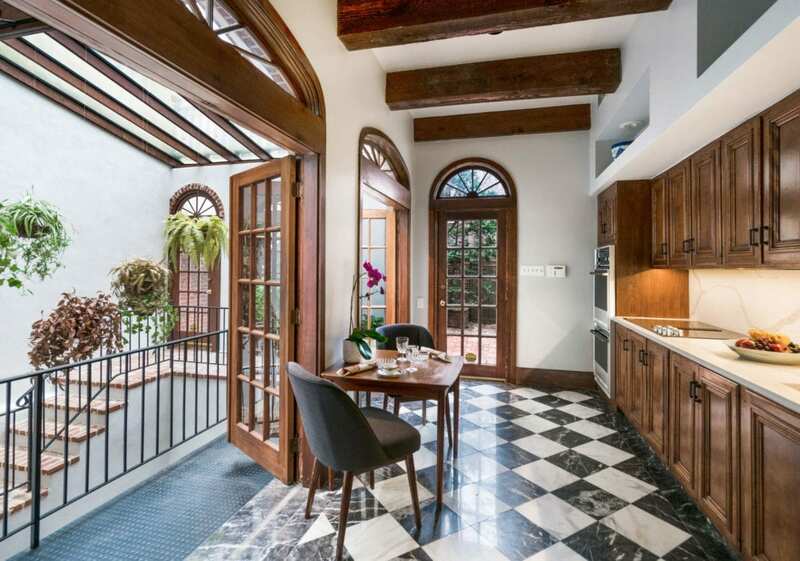 2 large windows and french doors dispense bursting natural light and give access to the peaceful roof terrace. 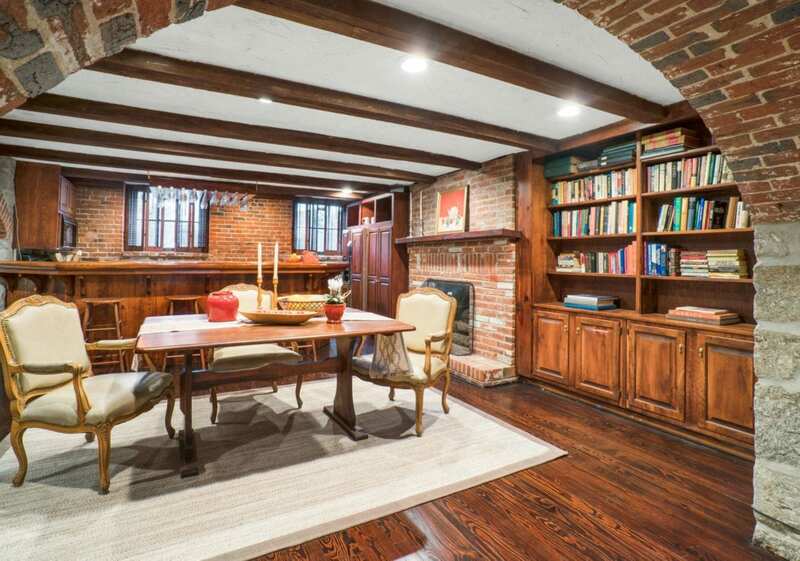 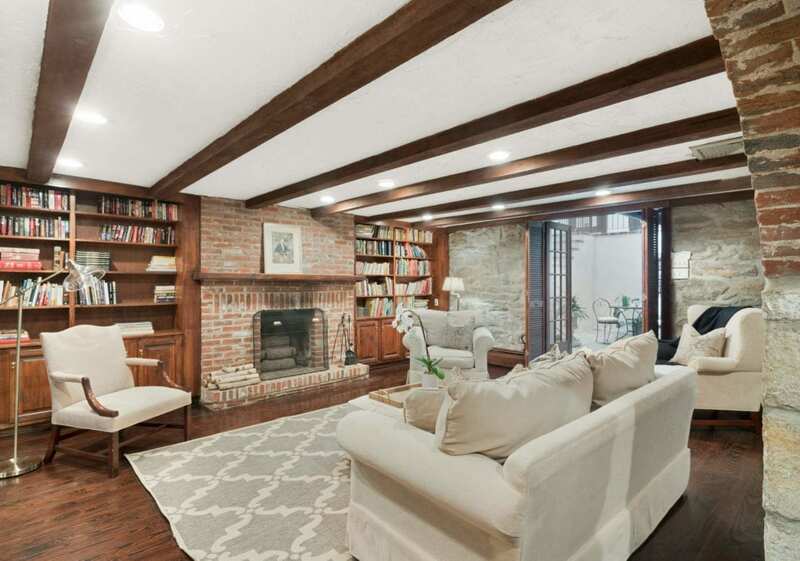 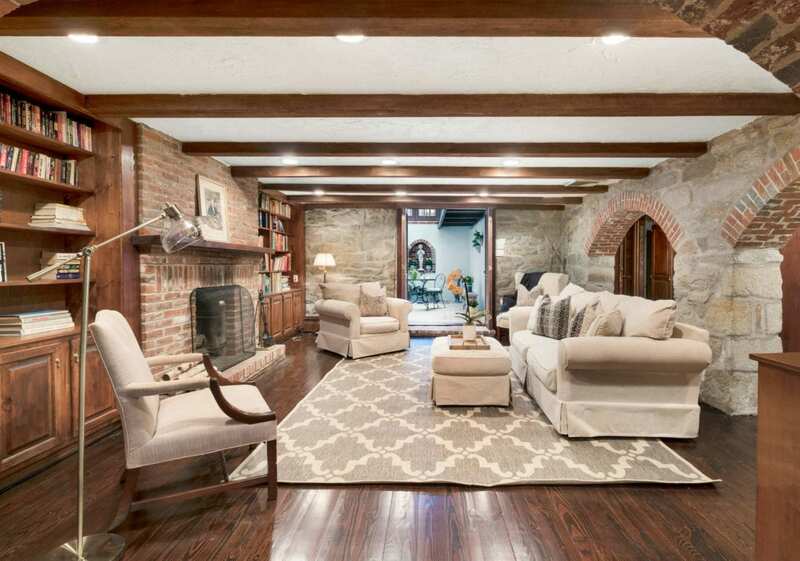 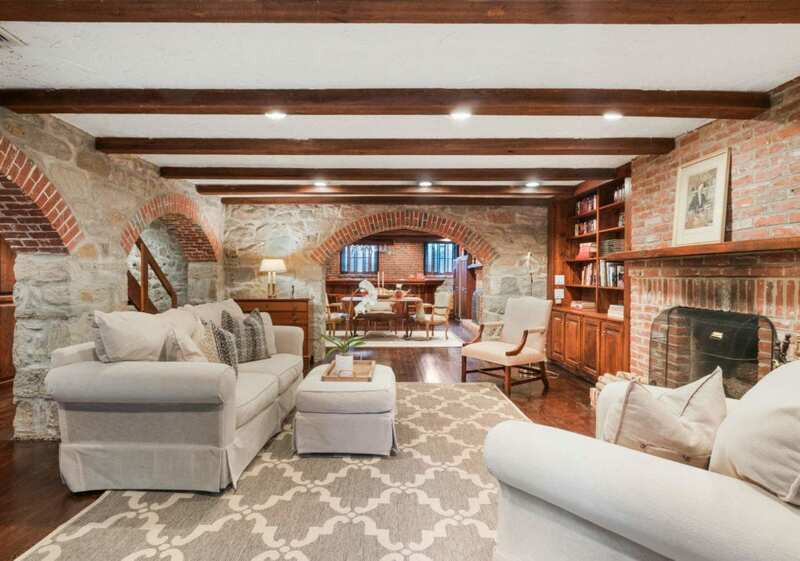 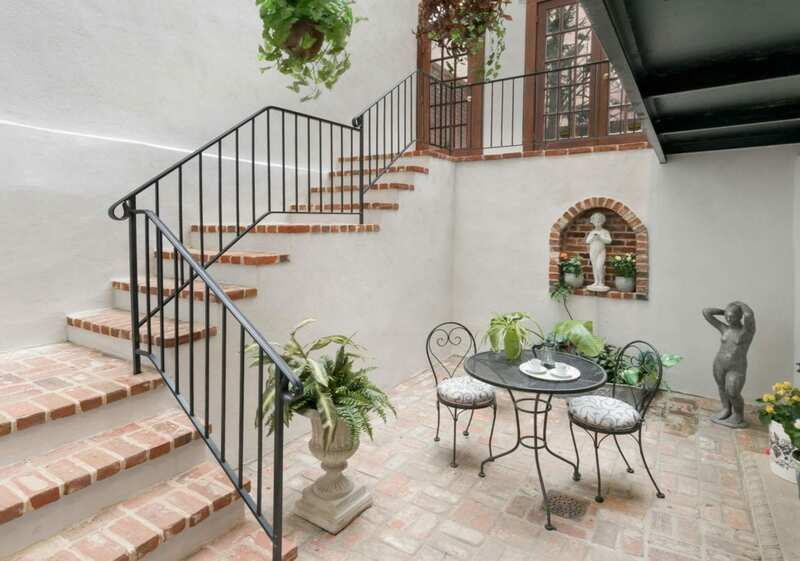 The lower level, accessed by the atrium, invites you into a cozy masonry stone library and sitting room with fireplace. 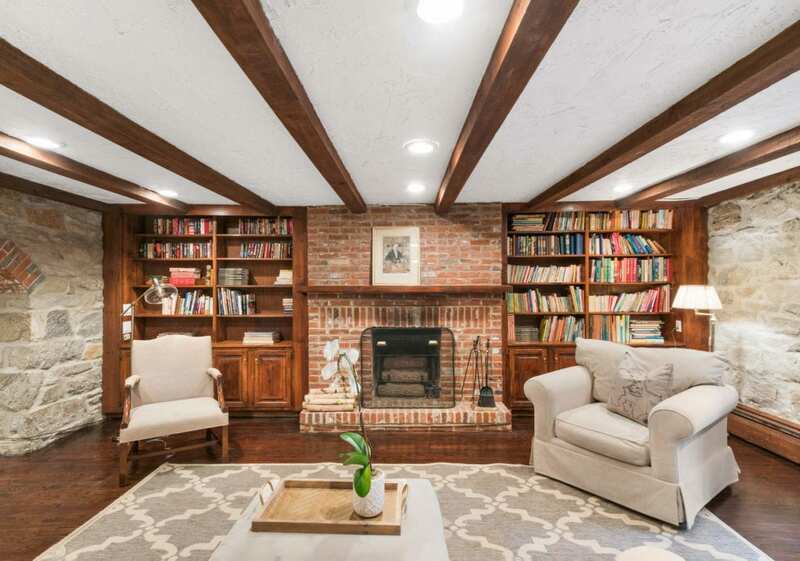 There is additional custom library shelving in the next room which also features a kitchen with a wood burning fireplace, a full bar, wine storage and a comfortable dining area perfect for entertaining. 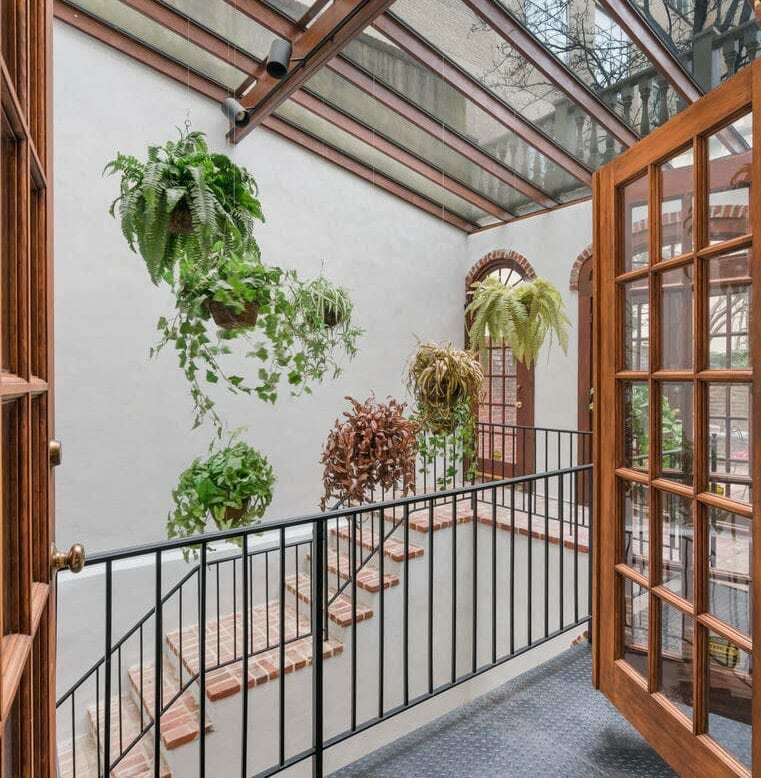 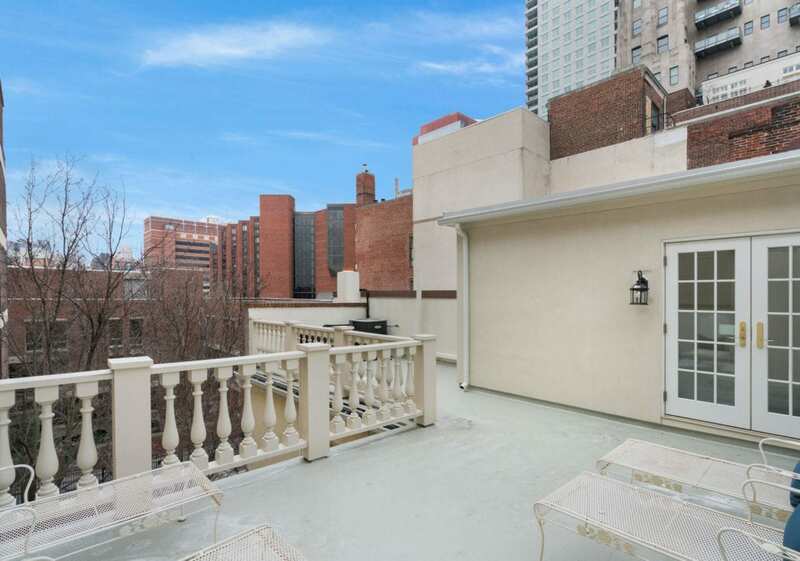 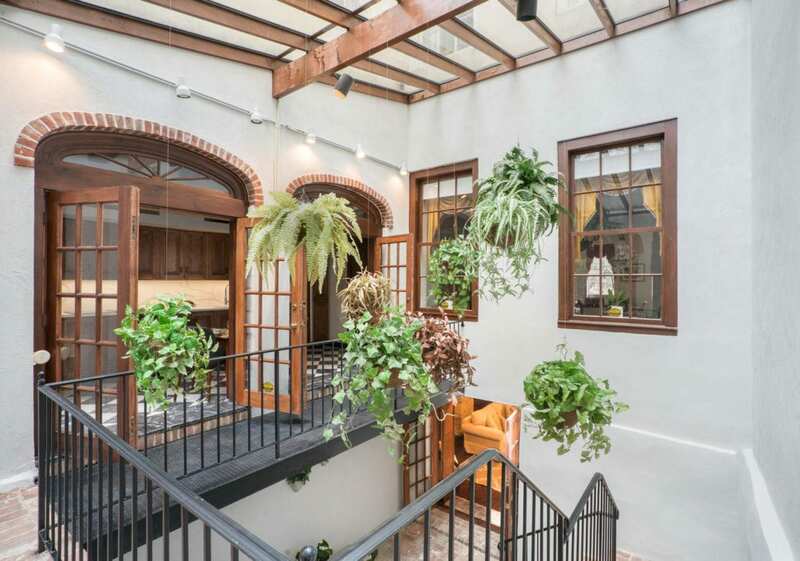 This level also provides access to the 3 story enclosed solarium, a horticultural hideaway from the bustled city setting. 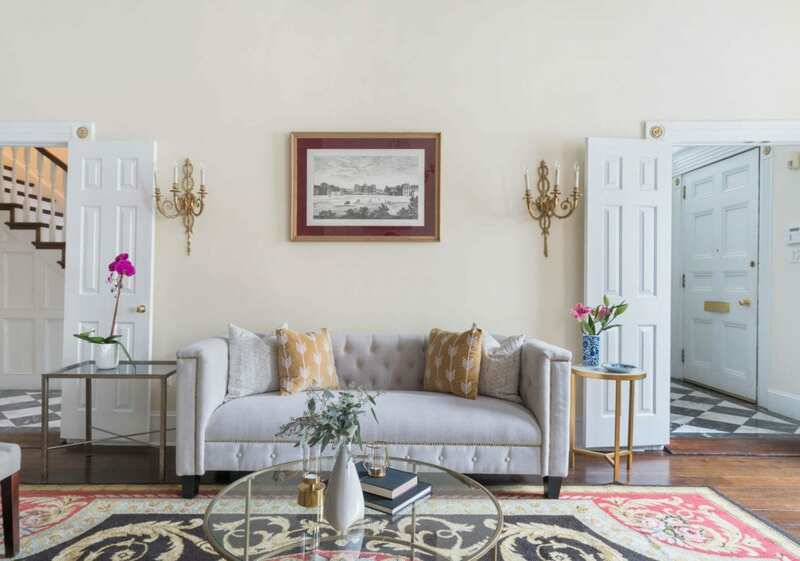 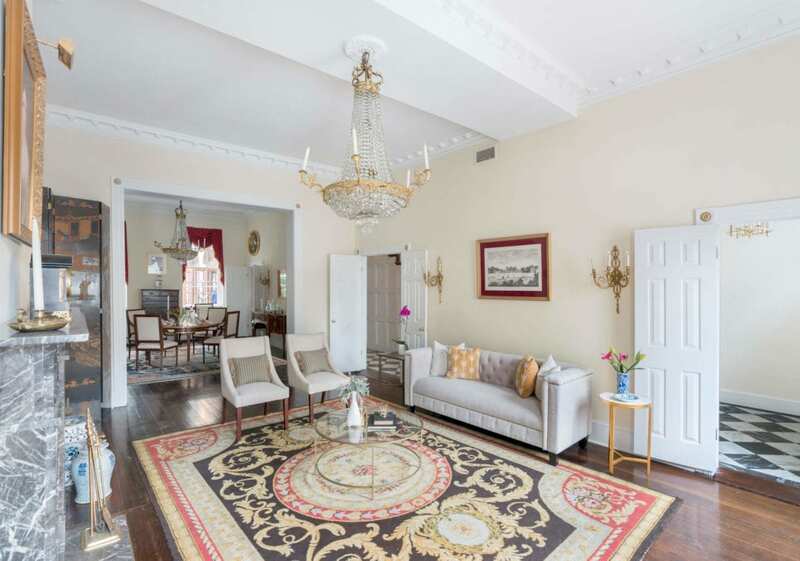 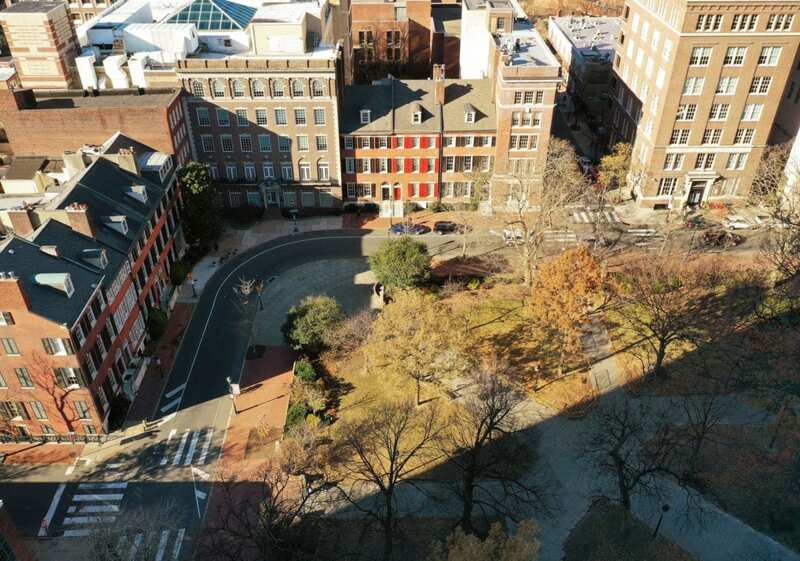 Channeling the energy of Center City and the elegance of Society Hill, lively Washington Square offers a wide variety of charming residential properties and one of the most vibrant shopping and dining districts in the city.